The nursery is open from 7:30 am - 6:00 pm Monday - Friday, excluding bank and public holidays. We offer either full days or sessional care. Extended sessions may be available upon request. Please contact the nursery for fees information. Deposit and registration fees are payable upon acceptance. Places cannot be confirmed until these fees are received. 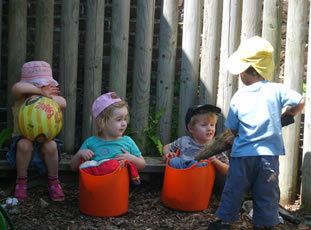 A deposit of £100.00 is required to secure a place for your child at the nursery. This is a refundable deposit when your child leaves nursery, if one month's written notice is received. The deposit is NOT refundable if you do not take up the place. A registration fee of £30.00 is required. This is a non-refundable fee. Anyone who allows their fees to fall 2 weeks in arrears will immediately forfeit their right to a nursery place. The child will be excluded from the nursery unless the account is brought up to date and regular payments are maintained. For your convenience we provide nappies and milk. A 5% discount will be given to the eldest child when there are one or more siblings of the same family attending the nursery. Full time children will be excluded from paying for bank holidays. Part-time children will still be charged BUT may swap their days to accomodate bank holidays where possible.